Opinion polls in the Czech Republic show the Communists (Communist Party of Bohemia and Moravia, or KSCM) at 15.5% compared to their showing in the 2010 elections where they gained 11.27% and 26 seats in the parliament. The Social Democrats CSSD are polling 28% while the right wing TOP 09 poll 13% and the Civic Democrats ODS, 9.5 %. A clutch of minor parties including the Greens and supporters of the maverick president Miloš Zeman cluster around the 5% mark. 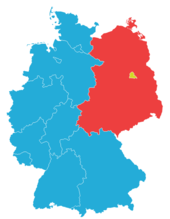 In earlier local government elections the KSCM strengthened its position winning more than 20% of the vote and now runs much of the local administration often in alliance with the Social Democrats. Opinion polling shows that 42% believe that the system that supplanted socialism after 1990 is better, a 21 year low. There is much speculation that the CSSD and KSCM could form a government or that a minority administration could be supported on an issue by issue basis by the communists. The biggest dividing issue is the CSSD support for NATO membership.